So dying for this one!!! Loved the first and already preordered this one! So ready for this one as well! And yep, it's preordered too! I can't wait to read World After! :D I just got my paperback for Angefall yesterday. I still need to read Angelfall. You picked some really good choices. The Fiery Heart looks good too. It will not be that much longer. 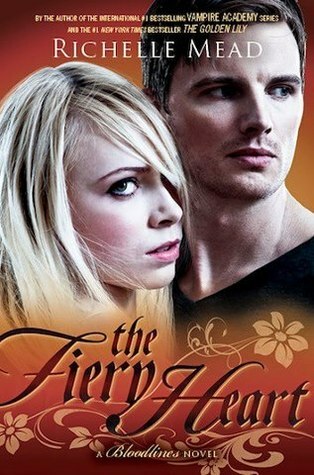 OMG I need The Fiery Heart like yesterday! I want more Adrian. Great picks! So can't wait for Fiery Hearts. Hope you get to read it soon! WORLD AFTER! YES! I am DYING FOR THIS BOOK! Great pick! I haven't read the first books in either of these series.. I was contemplating Angelfall this week though so we'll see how that goes. I have to admit I'm a bit scared of reading The Fiery Heart, what with Mead comparing it to Shadow Kiss and all. We'll see. Awesome picks! 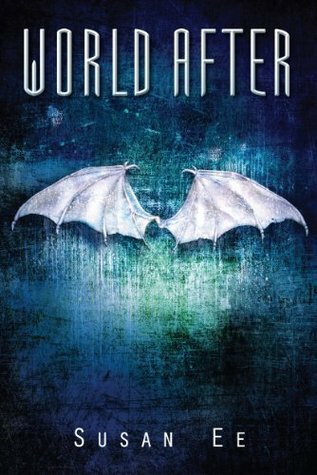 I loved Angelfall and can't wait to get hold of World After, The Fiery Heart is also high on my wishlist. Great picks! I can´t wait to read them. I still need to read Angelfall! And I need to catch up and read Indigo Spell still! Great picks though Jess! That sound really good, I am going to have to add it to my TBR list. Thanks for stopping by! The Fiery Heart!!!!! Always excited for more Adrian Ivashkov. Plus his own POV finally! I still need to read Angelfall. I've had it forever but now I am kind of happy I waited so I won't have to wait so long for the sequel. Thanks for stopping by! Ooo, two YA books! I haven't read books by either author, but I hear amazing things about both. Hope you get to read them sometime soon! I've been seeing both a these all over! Great picks. Thanks for stopping by my WoW! I'm DYING for The Fiery Heart!! Can't wait to have my Adrian! Great picks! *Fist Pump* I want the Fiery Heart so bad!! Awesome choices!! Thanx for visiting my WoW, sorry it’s taken me so long to reply!